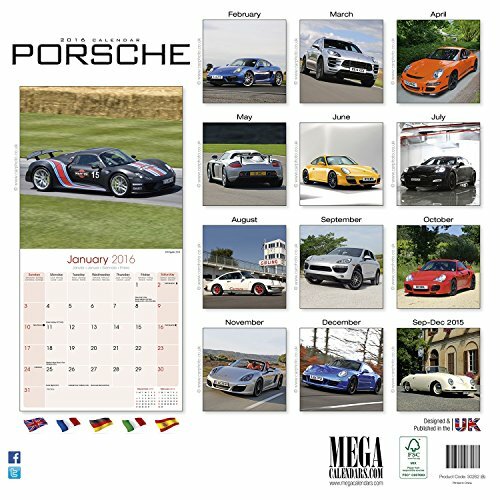 From the iconic Porsche 911 to the Porsche Carrera GT3 the Porsche Wall Calendar 2016 exclusively by MegaCalendars features gorgeous photos of these street legal supercars. 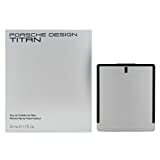 It will be a welcome gift to the car enthusiast in your life. The large monthly calendar grids offer room for recording anniversaries, birthdays, and other special events in your life. 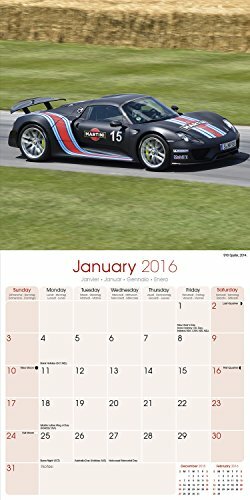 The calendar makes a statement on any wall. 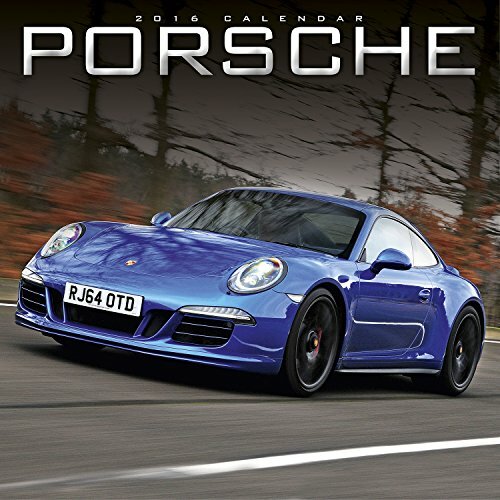 From the iconic Porsche 911 to the Porsche Carrera GT3 the Porsche Wall Calendar 2016 exclusively by MegaCalendars features gorgeous photos of these street legal supercars. It will be a welcome gift to the car enthusiast in your life. The large monthly calendar grids offer room for recording anniversaries, birthdays, and other special events in your life. The calendar makes a statement on any wall.